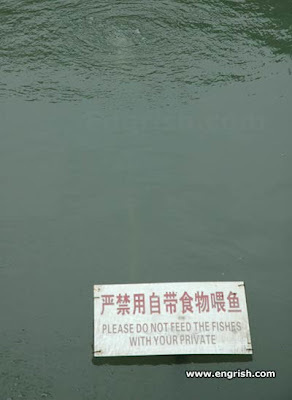 Wife forward me this hilarious sign, should be from China. There are tons of them from engrish.com. I cast my vote. This one is my choice of translation. Remember to check your zip if you are near one of this. I think they are carnivore. I say again. Satire on others language ability is a good way to cultivate hatred.